I just wanted to pop over and say thanks for your comment on my blog. 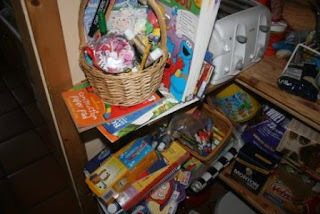 Imagine my surprise to find that you are a hoarder too! I don't know about you, but I just can't help myself. Hayley, can you believe that after all that cleaning I did I went down to the mailbox today and there was a brand new phone book? I can't win! 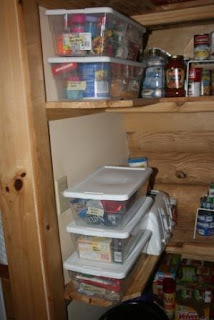 OMG, I love the tupperware containers for the baking supplies!! 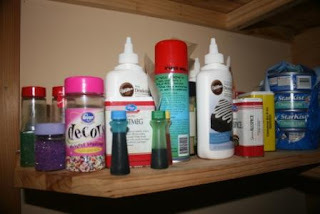 One of my cabinets is a total mess, full of disorganized baking supplies and what not. I can't believe I never thought to do that!! 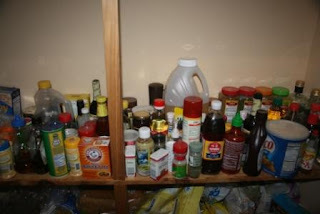 I like the way you organized everything else too, esp the spices. I can never find anything so I end up buying another spice thinking I'm out of it but then I end up finding 2 more just like it when I really spend the time to dig through it!! 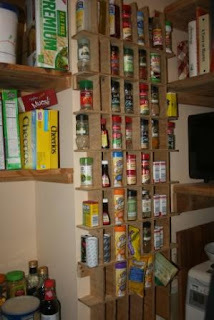 wow, that spice rack is great! Found your blog through the Happy Runner, that's great you're in the NYC marathon this year! I did the lottery, not high hopes but thought it was worth a shot! I dig that spice rack! 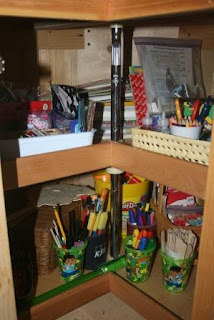 Great idea and great use of space!